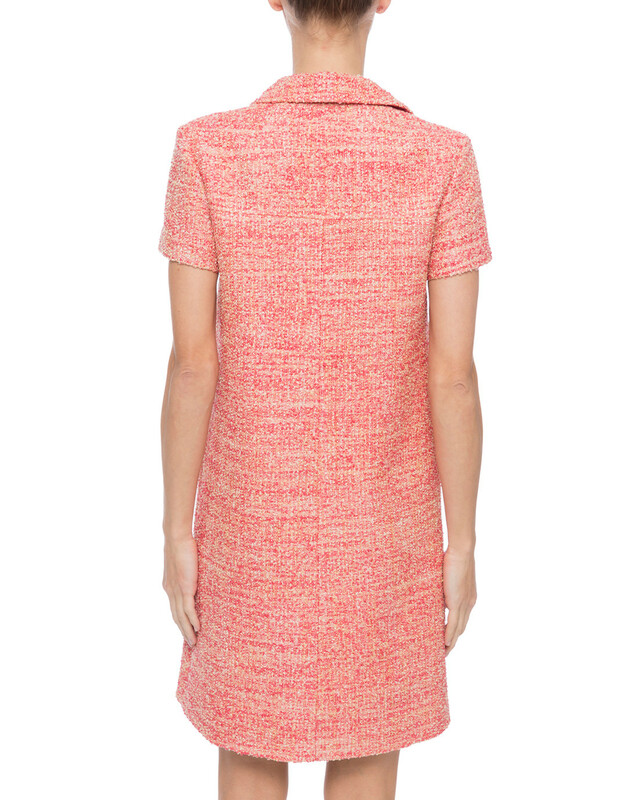 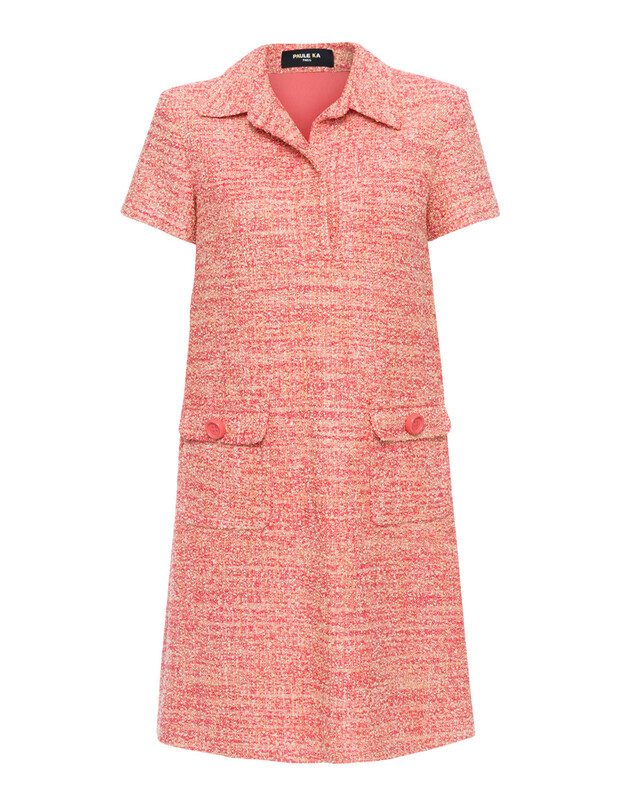 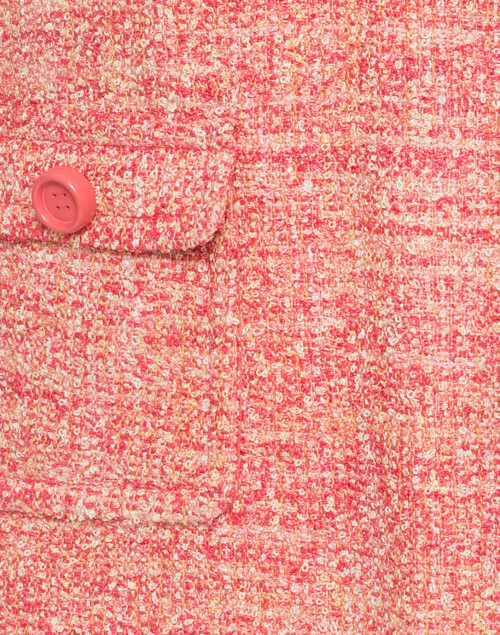 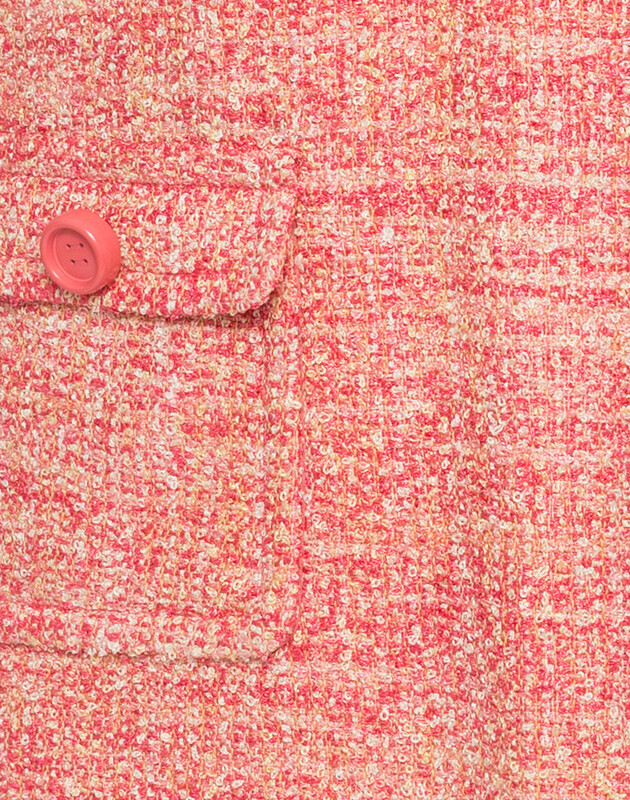 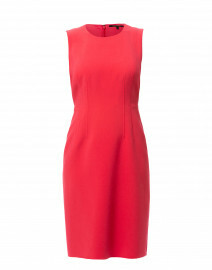 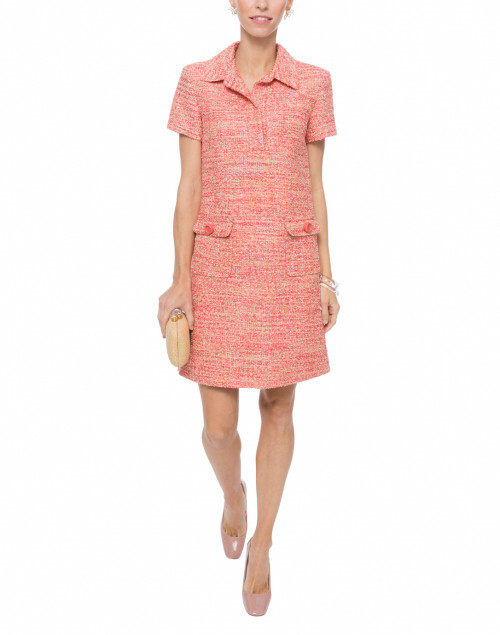 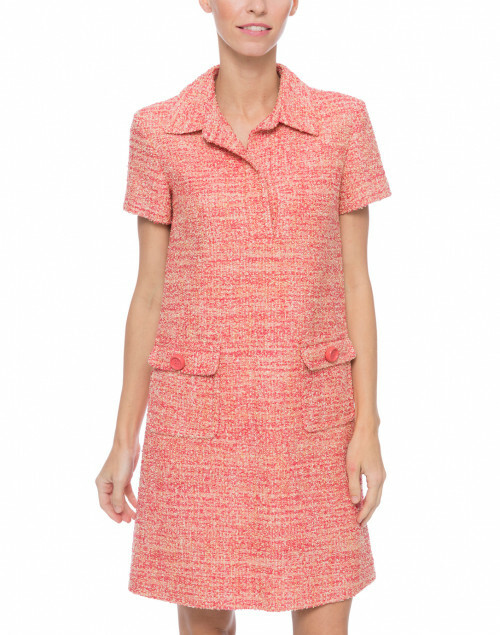 Paule Ka's playful and feminine approach to design is apparent in this pink cotton-viscose tweed dress. 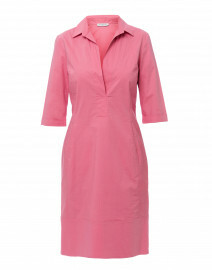 Expertly crafted in Romania, it has a relaxed fit with a shirt collar and chic flap pockets. 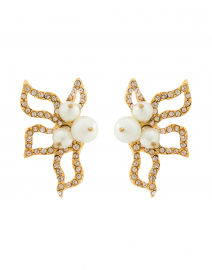 Echo the retro feel with statement earrings and square toe pumps. Length 35.5" 36" 36" 36.5" 37" 38"
Bust 33" 35" 37" 38" 40" 41"
Waist 34" 37" 38" 39" 42" 44"
Hip 38" 41" 42" 44" 46" 46"
Sleeve Length 6.5" 6.5" 7" 7" 7" 7"